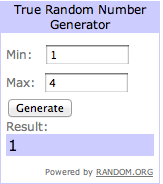 I realize I am tardy on posting the winner of my sister's Imperfect book giveaway! I am behind on so many things this week because....I've just gotten back from a week in Hawaii!! It was a perfect vacation and for the first time, we left the computer and work at home and made it our mission to do nothing but relax! Here are the winners of the book giveaway! #3 - Al who said, "I am in the mix. I hope I win!" and #1- Jennifer who said, "Buy this book people! You will not be able to put it down. So buy it and then set aside a whole day to read it cover to cover." My sister will contact you shortly with information on how to get your free book!